The Forman Journalism Society (FJS) along with the Mass Communication Department organised an Intra-University short film and documentary contest. Nine short films and documentaries, shortlisted after an initial review, were showcased in the competition titled ‘Short Shorts’. Ali Tahir, renowned actor and director was the chief guest and the judge of the event. 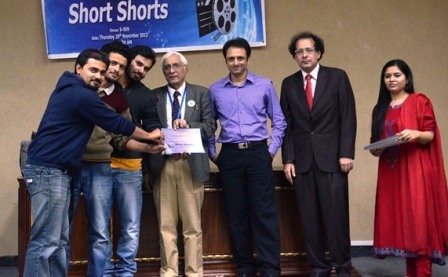 “The Lifestyle of Dwarfs” by students Sana Zehra, Shiza Saeed, Sana Tariq, Hamza Qaiser and Muhammad Daud was declared the best documentary. It reflected on the social stigmas people attach to the height-impaired people. In the short films category, “Red and Pink” by Muhammad Arkhan was declared the best. The film was a stop motion love story. Besides giving the first position, runners up were also declared. 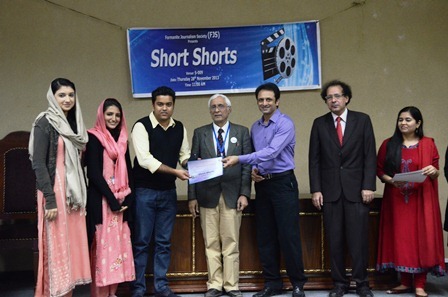 Among documentaries, “Umeed-e-Seher” by Imran Mehmood and Ahmad Javed got second position and “Cultural Diversity in FCC” by Hamza Naseer, Mujahid Ali and Haider Khan secured third position. 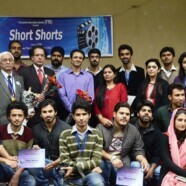 Among short films, second position film was “Strangers” by Saud Javed and “Ek Ehsas” by Shehroze Aftab and Daniyal Usman was third position film. 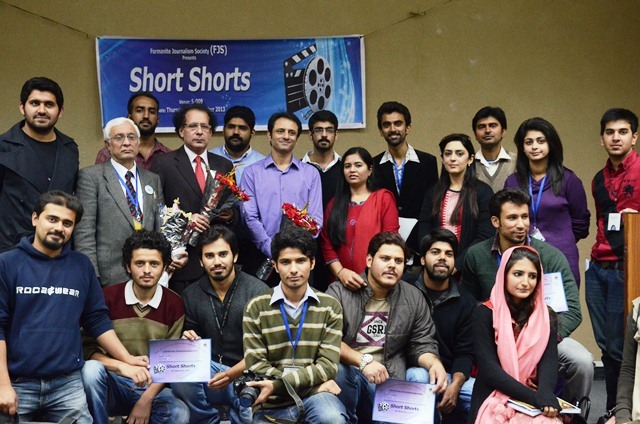 Vice Rector Dr Sufian Aslam said that it is the need of the hour that the communication students fill the vacuum in the field of films and documentaries. 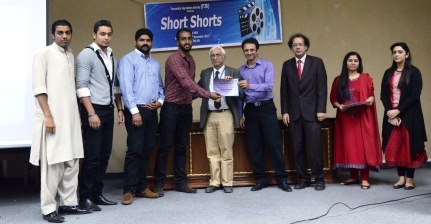 Chairperson Mass Communication Department Dr Mian Ahmed Hanan said that the short film contest provided the amateur, student filmmakers to have their work acknowledged. About the showcased films, he said that the students came up with very creative ideas and did a remarkable job in the face of technical limitations.